There had to be travel which is dedicated to the southwest United States a second time. On our first trip to the “wild west”, we couldn’t see everything that we wanted to. There are just too many state parks, national monuments and national parks(NP) that are well worth a visit. Some of the hot spots have become so popular that you need permits to gain entry to areas where the number of visitors are limited. Some time ago, that went to the „first come, first serve“ method which usually requires nimble fingers and a fast internet connection.. Today, there are lotteries which one can only hope to be lucky. In season, there are, for the „wave“ of 400 applicants, only 20 raffle tickets. We tried our luck for the „wave“ and were lucky to get tickets for the „Subway“ in Zion NP. 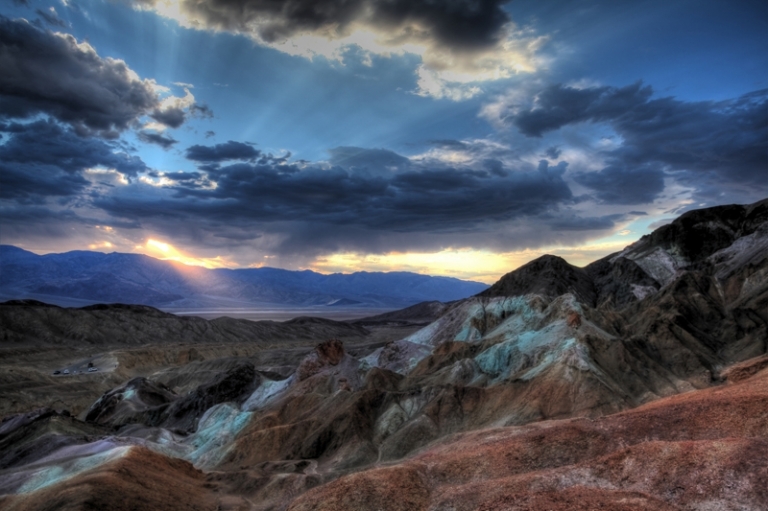 Tourism in the southwest United States will continue to increase. Unrestricted access for everyone everywhere is no longer possible today. The protection of the park costs money and, so, one of the methods to gain funds is by charging $10 for a parking spot. Almost all of the southwestern United States is described in so much detail by Isabel and Steffen Synnatschke, that I cannot do it better. So if you have an interest in these areas and treks, you should visit their pages, the ebooks, or the blog. If you are very quiet, you can hear the grains of sands moving in the wind. A storm is coming up over the parched desert landscape and casts a dark shadow over the stony ground. A little kangaroo mouse jumps over the still warm ground that was heated by the sun throughout the day. It nimbly climbs up on a rock flank and is hard to follow with the eyes. It’s refuge from the storm is one of the many holes in the rock. There are many holes in the sandstone formations that can hide thousands of mice. The elements created so many rock formations, that each stone is unique. But nature is capable of putting more imaginative stone structures in the landscape. There are colors and shapes that make these landscapes such a huge art work, that we humans can only be astonished by them. Here, with only sand and stone, nature was more lavish with color. Curved lines in white and yellow. All shades of red and green in between swab thorns, reinforced bushes, and cacti that defy the drought here. From sunrise to sunset, the scenery changes, constantly toning. This is becoming more intense until dusk. In the darkness of the night, the moonlight falls on the bizarre formations and the vast firmament with billions of stars spanning about it. The peculiar landscape unfolds all her mysticism. 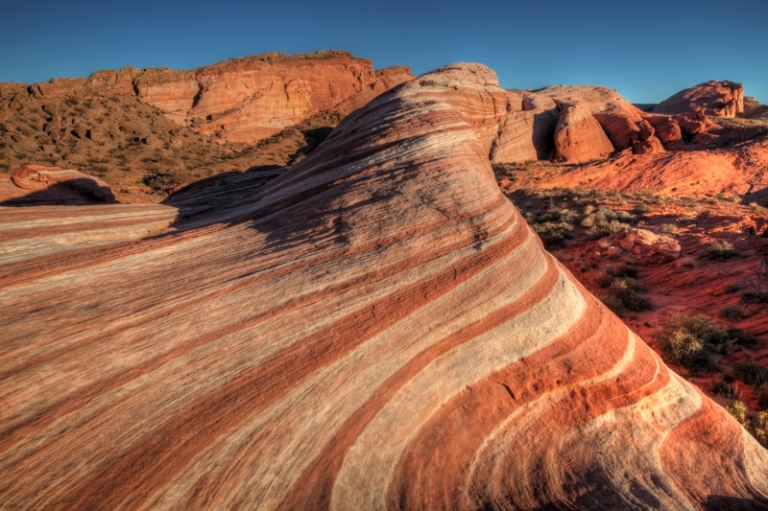 Nowhere in the world is there such a large density and diversity of colorful sandstone formations like the southwestern United States. These nearly deserted areas were discovered by nature photographers decades ago. As long as the images were published only in picture books and magazines, the kangaroo mouse remained undisturbed. But with the Internet, images and reports reached the, hitherto, largely unknown landscapes on every last corner of the world. Today, the kangaroo mouse must also take care against birds of prey and snakes. Bored Las Vegas tourists looking for a half-day adventure, fall out after breakfast into buses and SUVs and head to the worlds of stone wonders. There are so many more every year that, now, Park Rangers must intensively strive to protect the fragile sandstone characters from damage. The things we marvel at today need to be protected from damage by careless people before they are totally destroyed. Today we see only a piece of a million-year process, the end of which nature will remove from all the sandstone figures. Until then, the kangaroo mouse will have to go looking for another home. American Airlines, your friend and helper for the transitional period in Chicago to Las Vegas flights presents a sporty hour. But we are 20 minutes late at the landing. In my mind, we cancel our connecting flight. On the eve before, the passengers had the same problem and were flown to Los Angeles and then stuck there for a day. But, due to this experience, had apparently taken the logical step to give passengers of the connecting flight to Las Vegas, Express cards. So we ran through the airport in Chicago, which even now is not known to be small, took the train to the other terminal, past the immigration control, got our bags, checked it again, then ran to the gate. Done! Twenty minutes before departure we reach the check-in counter. From the window I can see how one of our luggage is loaded. The other I don’t see. Your guess as to what comes next? We are at the baggage belt in Las Vegas and one of our cases does not come! Now to „Lost and found“. The rest of our luggage will come on one of the next flights and be brought to us at the hotel. We pick up our rental car and drive to the „Madi Grass Hotel & Casino“. The case, of course, does not come on the same evening and also not the next morning. It is to be sent to us at Death Valley -alone we lack faith. Death Valley – reflections of the scorching sun, on the shiny enamel of cars and caravans that travel the burning asphalt from viewpoint to viewpoint. New paved roads, two gas stations, restaurants, shops, and comfortable hotels to stay overnight. Death Valley has lost its fearsome reputation. Only faded photos on the walls of some hotel rooms are reminiscent of the inhuman exertions of the Indians and the few settlers who tried to wrest a meal from this field. September is unusually hot in the American Southwest. The car thermometer shows 114°F. The air is cutting and no breeze blows. At the height of Dante’s View, we had 92 ° F in the afternoon. Especially on the route through the „Artist’s Palette but also in other regions of the Death Valley we feel reminiscent of the landscape in the Bolivian highlands us. We are not a geologist, but it forces itself on the idea that there was at least genesis historical parallels. We wanted to master the challenge of finding Little Finland. Little Finland is a small area in the western United States which is mostly unknown. The picture „The Scraming Beast“ by a pair of nature photographers named Synnatschke had impressed me so deep, that I decided to put this remote area in our itinerary. The accessibility of Bunkerville is not easy and takes about two hours. A detailed description and a GPS navigation system are indispensable. The car should have a full tank of gas and it is recommended to have the number of towing service. We must have been very close to Little Finland and at first its looked like luck was with us. On the horizon, dramatic storm clouds appeared and there was an exaggerated kitschy sunset. But at the end of the day I screw it up! I failed in handling my eTrex GPS and we couldn’t find the right place. So, we gave up the search and stayed overnight in Bunkerville in the „Desert Palms Motel“. Landscape near Bunkerville – surching for Little Finnland. I’m, sometimes, a bit naive. For months I read tour descriptions and prepared myself for this trip. Our trekking on the Left Fork Trailhead is an exemplary example of how, sometimes, the best description is not sufficient to reproduce the reality. Since we had stultified the visit of Little Finland, we were nearly a day behind with our plan. Instead in the evening, we arrived at 8:30 AM at the visitor center at Zion NP in Kolob. We want to make the climb up to „Angels Landing“ today and we would see if we could also pick up our permits for the “Left Fork Trailhead” walk. „For tomorrow there is a 50 percent chance of rain and the valley may have become blocked. For today, the chance of rain is only 30 percent”, says the employee in the visitor center. Whether it is better to make the trek today, we consider briefly. Yes! A half hour later we arrived at the parking area at the “Left Fork Trailhead”, get changed and go. I read, that the decent would not be simple. In my mind, after the decent, it would more or less be a relaxed walk along the river up to the „Subway, a semi open-topped tube that has washed into the rocks by the water. But, quite so relaxed, it should not be. First, the way leads a few hundred meters on a well maintained hiking trail through a pine forest to the escarpment. It opens up a breathtaking view in the 656 feet deep “Great West Canyon” that cut the river about two million years ago in the sandstone rocks. Now begins the descent into the valley, and I do not talk about a trail. There is a point at which it once was a landslide and the rock wall has thus become conquerable. At some points, the road is 30 inches wide and beside it drops steeply down into the gorge. At this point you should recall that you have signed a release with the National Park Service that they are liable for absolutely nothing and you have to pay any bailouts by your own. After we descended in the gorge, we refresh ourselves shortly on the river and start the walk along the river, not knowing what comes next. First, the path along the river is still like a narrow trodden path. But the tranquil hike abruptly ends barred as a rock beat the way. From now on, you will alternate many times between river and rocks, the size of a locomotive, that you have to climb over. It is September and 91° F is unusual, so the hike and the climbing would be a fight. In addition, I carry nearly forty pounds of photo equipment with me. The reward is waiting behind the last bend in the river. There are not many places in the world which impressed me very deeply. The Subway with the distant past cascades and small waterfalls every season has a special magic that I cannot withdraw. Here, nature seems like a description of paradise in the holy book. Too bad that the time is too short to enjoy paradise. At nightfall we made the ascent to the parking lot. At sunset we sit at the edge of the Great West Canyon again and see what is lit by the last rays of the sun on the crags. The storm on the back of the massif painted two perfect rainbows on the dark blue sky. We’re drained. I don´t take a picture of the kitsch, we just sit there and look to the scenery. Like a paradise – Left Fork of Great Western Creek. Angels Landing – Compared to the “Left Fork Trailhead,” the ascent to “Angels Landing” seems like a stroll. However, one should not underestimate the ascent. First, you go via the shuttle bus to the station, „The Grotto“. From the bus stop, you walk in a smooth passage to the foot of the mountain. Then the climb goes up into steeper switchbacks, ending on a plateau. Those who start early, they pass many sections in the shadows. On a plateau is a stopover for those that need a longer rest and want to continue to the summit that is called „Angels Landing“. Note: There are toilets but no water. Whoever wants to summit needs to be in good condition and should be free from giddiness. You pull yourself on thick chains and the roots or trunks of small trees to around 999 feet over rocks and narrow ridges up to the lookout point. Then you can sit on a ledge high above the valleys, where the American eagle in thermal updrafts at eye level pull over and the spectacular view rewarded for the effort of the climb. We needed from the bus stop to the last plateau and back four hours and we spend over one hour for the Angels landing view. View at Angels Landing – Zion Nationalpark. We leave the Zion NP in the direction of Kanab where we try to get permits for the “Wave”. Note: Currently, you can apply at 8:30 AM at the Visitor Center for the lottery to get permits for the next day. This also applies for Saturday and Sunday. Of course, we did not get a permit today and decide to visit the White Pockets. However, for the time being we chill a little in Kanab and try to get a room. For spontaneous visitors the selection can be closely and we just grab just before the last room for $ 95. Best Western, Comfort Inn, and the similar Hotels calculate 150 dollars for a double room.White Pocket can be a good alternative for those, that had no luck in the „Wave lottery“. 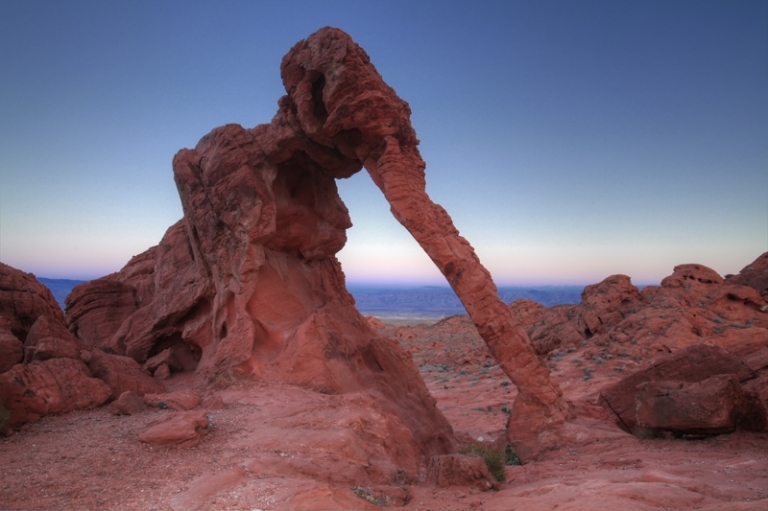 From Kanab, to reach the White Pocket, drive east on N US HWY 89.and enter the House Rock Valley Road. The driving time amounts to about 1.5 hours from Kanab. Maps are provided at the GSENM Visitor Center just off Hwy 89 (745 E. Highway 89) between the Hotel Comfort Inn and Walkers gas station. A 4WD vehicle with ample ground clearance, a little off-road experience and fearlessness are required. For all others, there are also guided tours to the area of Vermington Cliffs. The adventurous access via dirt roads will be rewarded by a unique natural spectacle. Especially in the morning and evening, the experience is most intense because the colors of the cliffs appear only right before sunset. Now that we’re at Kanab, we will try one last time to get a permit for the “Wave” in the lottery. At 8:30 AM, 73 visitors at the National Park Service Center make a total of 30 submissions. At exactly 9:00 AM, Bureau of Land Management employees roll the wooden bingo balls to decide the joy or disappointment of the hopefuls. Something strange seems already the theater about the „Wave“ somehow. Of course, we would like to look in the North Butts and, of course, I want to make nice photos there. But here, one gets the impression there would be, in the region around Kanab, nothing but the “Wave”. We are not among the winners. After our failure to get a permit in the online lottery, I put in our itinerary, a walk in Kanarra Creek Canyon. The canyon is a hidden valley in Kanarraville, through which the Kanarra River winds with a beautiful slot canyon at the end. Again, in my mind, it was slightly different from reality. On weekends, when Americans make trips, the time is over for this quiet place. Lots of families and noisy school classes go through the increasingly narrow gorge to the nice waterfalls. The easy hike with picnic lunch takes about three hours. It begins to rain on the way to Bryce Canyon. This day did not provide a sunset over Bryce Canyon due to the thick cloudy overcast. We headed to the „Americas Best Value Inn“ in Tropic. 21/09/2014: The view from the room door is sobering. Fifty-five degrees fahrenheit and a prolonged rainstorm. We don’t go to Bryce Canyon but we do go to Escalante, to try to go to the Jacob Hamblin Arch. Unfortunately this is not possible because the hard rain made the roads into muddy dirt roads. Out of necessity we made a trek to „Lower Calf Creek Waterfall“ near Escalante. The trail here is very easy on a good footpath and the waterfall very impressive, because of the rainfalls of the past days. At various points on the trail, markers are attached to specific details such as petroglyphs. On the way to Bryce Canyon we were surprised by a hail storm. Bushes were defoliated and blown away, all sorts of things flew over the road, which is covered with a centimeter thick layer of ice in minutes. We were forced to stop due to visibilities at zero. As Bryce Canyon arrived, the sun reconciled with warm evening light and a beautiful sunset. Notice: “Escalante Cafe & Restaurant Outitters” is the best choice for taking a break. There also offer vegan dishes. The „Utah canyon outdoor store“ on the opposite road site is a good shop for outdoor equipment and tours of the area. 22/09/2014: After our last night in the 110 Dollar, overpriced „Americas Best Value Inn“ we enjoy the sunrise at Bryce Canyon. Then we visit „Devils Garden“ at the Hole in the Rock Road. Here where slot canyons, Hoodos and many other scenic highlights are lined up like on a chain. We only have time for this once and only place, where Hoodoos and stone arches pushing in confined spaces.Then we say goodbye to the prairie dogs, the pronghorns, deer, and continue to make course from Bryce Canyon towards the “Arches NP. On the way, we do not always dine in the car during the ride but at a table with chairs. The town of Panguitch has suffered heavily in the past from an economic decline, many houses and shops are vacant, but one restaurant has survived. The „Cowboy’s Smokehouse“ is very rustic with somewhat tasteless furnishings for our imagination, but has chefs that excellently ply their trade. The motels from various horror films really do exist. Freaky figures and broken lives, which have no home are stranded there with old and rotten institution, stains and dirt everywhere. Unfortunately we had already paid when we realized it. For this one night one of these (Thriller) Motels was our home. In the morning, we were surprised and delighted survived that night. Fifteen minutes later we drove into the sunrise.Straight through the Capitol Reef NP, over the Devils Canyon, past the Ghost Rock. Simply gigantic. Arches NP – After we made our day relaxing in Moab, we went into the Canyonlands NP along the White Rim Trail. Then we decided to experience the sunset at Delicate Arch. At 5:00 PM, at the parking lot to the trail, we had the first surprise. No more space for parking and more and more cars were added. Somewhere on the shoulder we were able to get rid of our GMC monster. We were quickly to our sturdy shoes and took a speed hike. In 40 minutes, we reached the distinctive Arch, which is the symbol of Arches NP and the state of Utah. With us, masses of people made pilgrimages to the Arch. That we would not be alone was clear. I was not prepared for these masses I was not prepared. Hundreds of people populate almost every place around the Arch. Whole groups are scanned one after another in front of the stone arch. They jump, make funny poses, scream, shout and degrade the place to a backdrop for the „look where I was“ images. The more the sun approaches the horizon, the stronger the stone arch is glowing into the light. Just before the sun passes the day to the night, the rocks begin to glow. When we went down, we met, still, many visitors, who just arrived and walk up. They will reach the arch in complete darkness. When we reached the parking lot, the access road was full of parked carsl. So, we moved towards Moab with a caravan of white and red lights knowing that it would not get better tomorrow. 24/09/2014: Yes! The Mesa Arch sunset picture is dealt with ad nauseam. But which tourist hot spot is not today. Perhaps you can afford the luxury to choose other locations or try something new if you were already there X times. You can then, also with a certain contemptuousness to all, covet this shot. I like to take a picture of this spot for myself, and I don’t begrudge myself for this. We got up and reached Mesa Arch so early, that I don’t dare to write. Reports of the crowd at the most famous photo motive in „Iceland in the Sky“ section of Canyonlands NP had let me play it safe. We were the first one. At 6 AM came a photographer from California and then more and more others. As the show starts, about 25 visitors are at the place. There would be space for two to three people more. However, only the first and those, who know the correct place, depending on the season, will take the best pictures. Then we went, as soon as possible, to the Arches NP to take a couple pictures before the sun is too bad after 10 AM. While the normal tourists are scurrying through the park, we hide in the hotel. After high noon we go for a stroll and lunch downtown. In the afternoon we cruise through the Arches NP and at sunset I will take pictures from the Landscape Arch. For those who want to take pictures or just see the Landscape Arch in the best light – you must be, before 4:00 PM, climbed high in the wall to cut out the arch and to have a good illumination depending on the season. This minor detail escaped my knowledge. So we waited and relaxed until 5:30 PM in the parking lot until we went off – fatal stupidity on my part. The evening was rescued only with a silhouette picture and a beer. 25/09/2014: At 6:00 AM we trek to experience our last sunrise at Delicate Arch. Behind us follow some dancing lights through the twilight. In the dark, it was hard to find the right direction over the rocks, getting lost at once and we were standing in front of a brink. But at 6:50 AM we reached the Arch. Shortly afterwards, and just before sunrise, more and more tourists arrived at the arch. There are, probably, almost a hundred people. The silence is over now. Those looking for seclusion and tranquility are absolutely wrong in the Arches NP. At 9:15 AM, we leave Moab. Now it’s time for scoring miles. Along I70 through the Rocky Mountains, the ski areas, over the Grizzly Canyon, the White River Canyon, past Denver and the vast grasslands of Nebraska. Kearney is the final station for this day, where we check into a motel. Seven hundred and eight miles in 11 hours !!! This is Amerika – in Nebraska a meeting of five Union Pacific Dash 9-44CW, with 4400 horsepowers per unit and a 600 horspowers Peterbuilt 379. 26/09/2014: At 6:30 AM we are back on the road and drive through the rest of Nebraska. We take more time today and choose side roads through Iowa to see something of the character of the country and to take some pictures . Then it goes on and on side roads through Iowa. The route takes us from Kearney about Grand Iceland, Schuyler, Missuri Valley, Boone, Fort Dodge, Algona to Blue Earth. From there we take I 90 and merge onto I 35. At dark we reach the „Welcome to Minnesota“ sign. Six hundred and seventy two miles in 13 hours. At dark we reach the, „Welcome to Minnesota“ sign. We sleep in Bloomington near the Mall of America. Iowa – corn, as far as the eye can reach. 27/ 09/2014: After the plastic breakfast at the hotel we spend the morning in the Mall of America, with 42 million visitors per year, it is the most visited mall in the world. The Mall of America is located south of Minneapolis, Bloomington at the intersection of Interstate 494 and Highway 77 and can be reached in a few minutes from the Minneapolis / St. Paul airport. In the middle of the complex of Nickelodeon Universe amusement park with rollercoasters and wild water rides. There is also an aquarium, a 14-screen cinema, a Lego Imagination Center, a dinosaur museum, nightclubs and a NASCAR simulator. In the mall works around 12,000 people. Birthday Party in Ham Lake – spectacularly unspectacular. Family and friends have been coming since 2:00 PM. The gifts, mostly simple acknowledgements, whose purpose cannot be explained after deeply studying of the owners manual. All bring something to eat. Colorful cakes, chips, sandwiches and much more. You could invite the whole town and still have enough food for tomorrow. At 5:00 PM the party dissolves and all go on to other matters. 28/09/2014: The all American day – Breakfast at Denny’s. The outside is covered in 60s style with chrome cladding over the whole restaurant. Inside, the typical seating arrangement at the windows along with benches, which are covered with red and fawn leather. On the coffee mugs the label „Operation Homefront“, and it is serious. On the next table a man around 35, had to squeeze his belly painfully between seat back and table. The portions are huge but tasty – this explains a lot, if also not everything. In America, food is one of the most important activities. On the way back we visit a private sanctuary for wolves, bears and wild cats. Here we learn that these animals live in close proximity to people and there are often encounters between the two but usually without conflict. Some people travel 1.000 miles into the wilderness to see brown bears and here, they stroll around in the backyards. In the afternoon we cruise through the surrounding area with a 1967 Ford Mustang GT/A convertible with a 220 HP motor. At the railroad crossing in Andover, Mustang meets the „Empire Builder“, a historic train pulled by the steam locomotive 261 „Milwaukee Road“. This was the American way to travel!!! 29/09/2014: In the morning it is cloudy and it rains at times. Any state parks or lakes to visit are therefore deleted from the program. Instead, we go to the Minneapolis Sculpture Garden, 1750 Hennepin Avenue, Minneapolis, MN 55403, before I freeze myself for a trinspotter photo on the Kellogg Boulevard Bridge. A warm exception in the fast food jungle is the restaurant „Burger Moe“ in a historic building of St. Paul. Back in Ham Lake the sun was coming out but again only 68 ° F. Before we go eat again, I drive a little through the environment to take three pictures of the 10,000 lakes of Minnesota for which the state is famous. The „Texas Roadhouse“ would be called in our latitudes, experience gastronomy. Rich cuisine, rustic interior and dancing cowboys all evening brings a lot of people from the area to here . 30/09/2014: At this point I now wanted to rant again about the airlines and their inhumane methods of transport. But despite delay we reached our connecting flight in Chicago and in the A330 of Air Berlin, I got a whole middle row for myself. That really took the the wind out of my sails. A stereotype – from the French worth cliché, „imitation“ is a cut and dried opinion or a common opinion which may have proved to be outdated, overused or even wrong. Therefore, one can make his own clichés apply only if you have convinced them that they are true. In case of America we verified our clichés, which everyone has more or less. The Americans we met were, every time, open and accommodating. Whether at the supermarket or on trails. Wherever, in the restaurant or in the „lost & found,“ all were nice and helpful. None of it was artificial. On trails, they made room and greeted each other. If you wanted to cross the road, the cars stopped That was so strange to us that we needed a few days to deal with it. If you meet someone on the way who looked grim, they always were a European. In America the amount of people jogging or riding a bike, has increased significantly and many bike paths have been created. The people trekked in the park and were eating healthily. The cars are getting smaller, the waste is recycled and the government, intensively, takes more care to protect the environment. Of course there is still the other extreme, where you can find all confirmed negative stereotypes. But such a great nation is slowly changing. Minnessota – Land of ten thousand lakes.